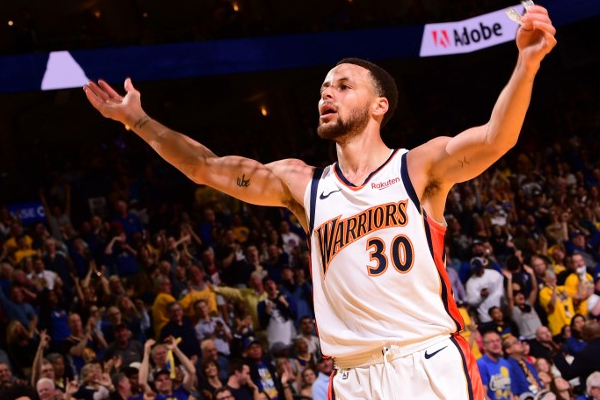 Beating the LA Clippers in their final-regular season game 131-104 on Sunday night, the Golden State Warriors have clinched the Western Conference’s top seed. Steph Curry scored 27 points and Kevin Durant added 16 points and seven assists. Draymond Green just missed a triple-double with 10 points, 10 rebounds and nine assists and DeMarcus Cousins contributed 12 points, nine boards and four assists playing with foul trouble. A banner commemorating 47 years at Oracle was unveiled afterward and it will move to the new Chase Center in San Francisco where the Warriors will play next season. But even with the playoffs around the corner, this was a night to celebrate the end of a nearly five-decade run in the arena. The Warriors played 1,936 regular-season games at Oracle, where the first game was held on Oct. 24, 1967, against Cincinnati. Kerr narrated an appreciation video to fans and the arena and the Oakland Symphony performed at halftime as more highlights played. While the Warriors now know they will be the top seed in the West, they still don’t know who they will play in the first round of the NBA playoffs, which start next Saturday. The Clippers, Spurs and Thunder are all still in play to face the Warriors in the first round.